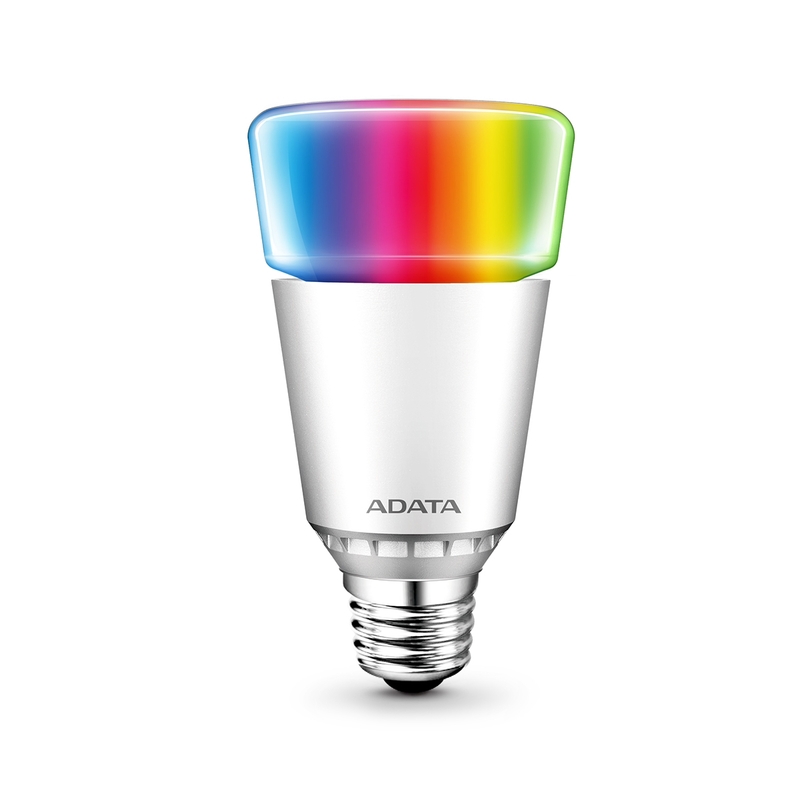 Taipei, Taiwan – January 27, 2015 - ADATA® Technology, a leading manufacturer of high-performance DRAM modules, NAND Flash products and LED lighting products, today launches its AURA RGB interior lighting bulb. 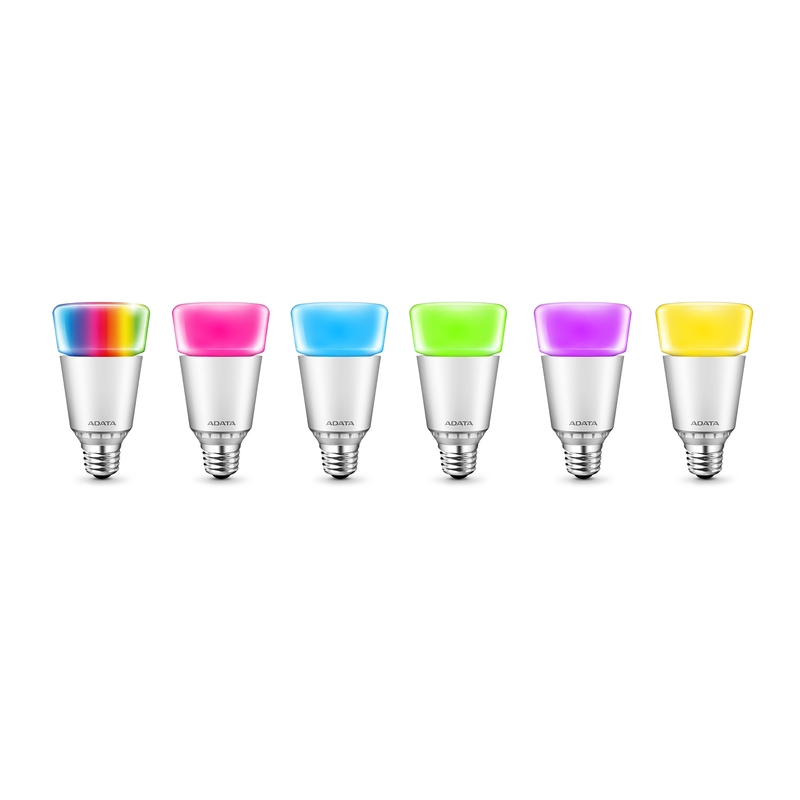 The AURA RGB bulb displays over 16 million different colors and up to 64 bulbs can be configured via Bluetooth 4.0 Mesh technology using ADATA’s free downloadable app. ADATA’s AURA RGB bulb is a perfect match for homeowners and small business owners seeking to choose from literally millions of colors while being able to adjust warmth and brightness for bulbs spanning a distance of nearly 2000 meters! Use ADATA’s free RGB Bulb app to link your Bluetooth-enabled smart phone with as many as 64 bulbs using Bluetooth Mesh technology. 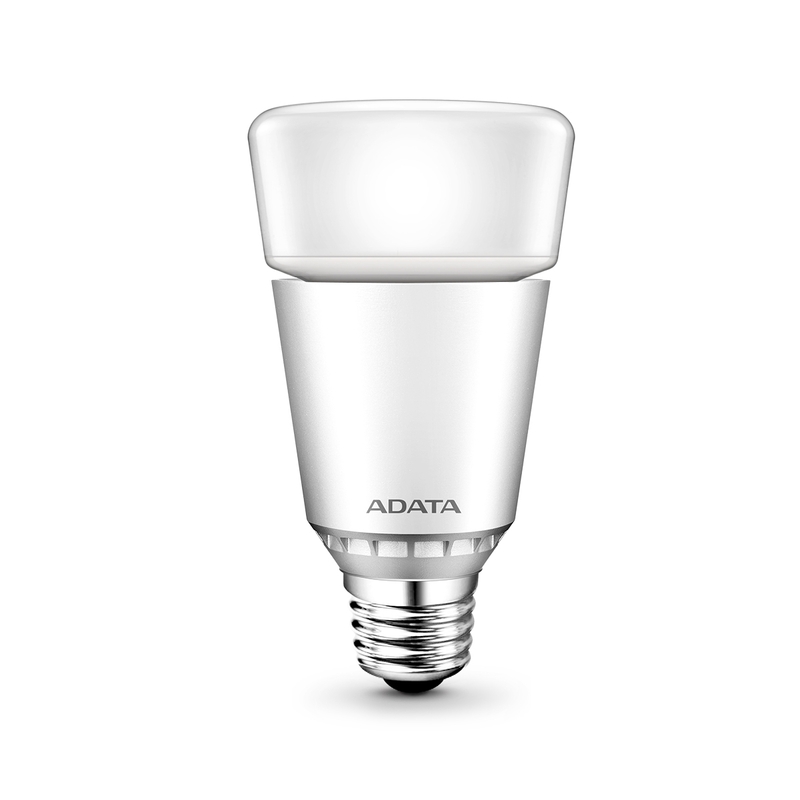 Each ADATA AURA LED bulb contains a powerful Bluetooth 4.0 Mesh wireless transmitter that provides you with full color control over long distances. Connect individual bulbs as far away as 30 meters from each other. Form a network of bulbs linked in a line almost as long as 2000 meters! 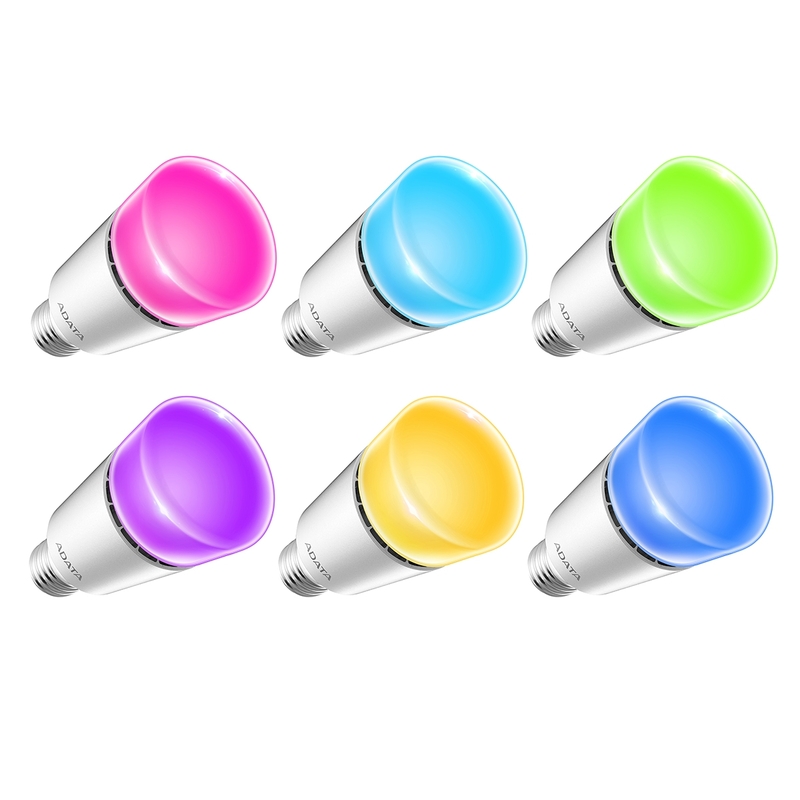 Easily use your smart phone or tablet to control AURA lights as groups or as individual bulbs in your office, home or small business without needing to buy an expensive bridge or router as needed with other RGB bulb providers. 16 Million Colors to Choose From! While you can use it to deliver the natural warm glow of sunrise, or the somber tones of dusk in varying brightness, the AURA RGB bulb doesn’t stop there. Use ADATA’s free AURA app to access the light’s full red / green / blue (RGB) color spectrum. By combining the 256 variations of each RGB color, you can create over 16 million color combinations to match your every mood. Configure one bulb in your home office to deliver a somber blue color ideal for steady concentration. Arrange another set of AURA bulbs to bring the warm of sunrise into your living room for easy reading. Kids can use the app in their gaming den for fun times with intense blues, hot reds, deep greens or literally 16 million other colors in between while playing on the computer! ADATA’s AURA RGB bulb combines the esthetics of smooth solid construction that fits perfectly not only in the home, but in your office and small business, too. Use standard bright colors to match the professional tone of your daytime office environment. If you own a restaurant, coffee shop or art gallery, hang multiple AURA bulbs from dangling ceiling fixtures and tweak both brightness and coloring for an intimate dinner with drinks, or highlight the vivid colors of a painting hanging on a wall. For wireless control of up to 64 bulbs in groups or individual units delivering 16 million colors to your home, office or small business, enjoy ADATA’s AURA RGB bulb for cost-effective LED lighting! Download the free AURA Bulb app from both the Apple App Store and Google play.